Figure 2-4. 146.29-100 Classification, Handling, and Stowage Chart, Extracted from BOE 6000. Home > Munitions Reference and Training Manuals > > Figure 2-4. 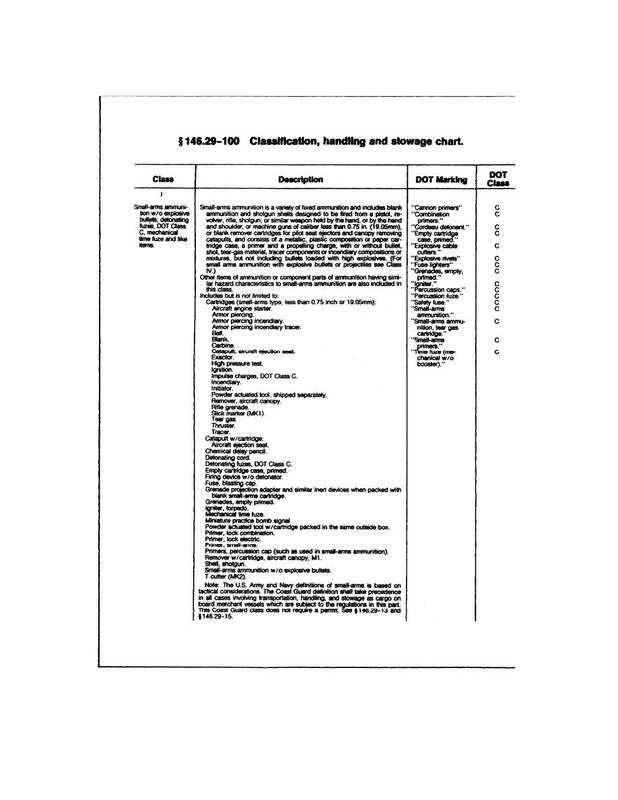 146.29-100 Classification, Handling, and Stowage Chart, Extracted from BOE 6000.